Online college classes and degrees give working adults a lot of flexibility in furthering their educations but there’s a big policy debate over whether students are learning much. According to the most recent federal statistics from 2016, roughly one out of every three or 6.3 million college students learned online. That number is growing even as fewer people are going to college. About half of them were enrolled in online degree programs and take all of their classes on the internet. The other half took one or more of their college classes online as they were also studying in traditional classrooms on a campus. A new January 2019 paper from two researchers, one of whom served in the Obama Administration, documents the rise of online learning and reviews a large body of academic research on it. The researchers conclude that most students, especially those with weak academic backgrounds, aren’t being well served by the kinds of online courses that colleges are typically offering. The researchers then argue that these lackluster student results are why lawmakers and regulators shouldn’t relax the rules on colleges that teach online. 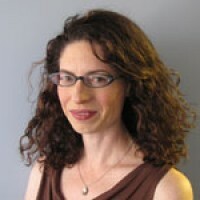 “The interaction between a student and an instructor is an intrinsic part of the educational process and we need to be very, very cautious before watering down this requirement,” said Spiros Protopsaltis, one of the co-authors, who spoke before journalists at a seminar of the Education Writers Association in Washington D.C. in January 2019. Protopsaltis is a professor at George Mason University, where he directs Center for Education Policy and Evaluation. He previously served as a senior official in the U.S. Department of Education. I was struck by how for-profit universities are increasingly relying on online courses as their primary method of instruction. For example, at four-year for-profit colleges, 70 percent of students are taking all their classes online, which is seven times the rate at public colleges and universities, where only 10 percent of the students learn exclusively online. 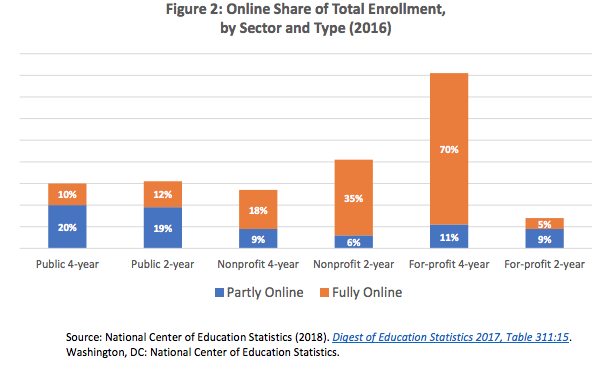 Almost a quarter of students who take all of their classes online are attending a for-profit. Keep in mind that for-profit universities enroll a disproportionate number of low-income students of color. Indeed, it was an unfavorable audit of Western Governors University (WGU) that has prompted the current rethinking of regulations. Back in 2017, inspectors in the U.S. Department of Education found most students at WGU weren’t getting enough interaction with instructors in the online classes they were taking. “Regular and substantive” interaction with teachers is one of the requirements for schools that want their students to be able to use federal grants and loans to pay their tuition bills. The audit called for WGU to pay back more than $700 million in federal money. That struck fear into the whole online education sector, which relies on federal aid for its tuition revenue. The Trump Administration never followed the inspectors’ recommendation to levy the penalty. Instead, it proposed to loosen the requirement that students need to interact with instructors. And now these academic researchers have marshaled the research evidence that online courses, even under current regulations, aren’t serving college students very well. “More recent studies using rigorous experimental techniques …have found that fully online courses have a significant negative impact on outcomes for at-risk students,” the authors wrote. The paper methodically walks through studies that compare grades and failure rates of students who take online versus face-to-face traditional classes. In community colleges, the online students received lower grades and failed classes in higher numbers compared with similar students in traditional classes. (I’ve previously written about overwhelming research evidence that community college students aren’t faring well in online classes.) At four-year universities, students with high grades often did just as well in an online course, but those with low grades suffered more. Another 2017 study of students at a for-profit university which offers both in-person and online classes found that students who took an online class not only got lower grades in that class but also in future classes. Online students were more likely to drop out of college altogether than similar students who attended in-person classes. In many of these studies, researchers write about the lack of human interaction in online classes and how much more motivation students need to keep up with assignments. Of course, it’s possible to design a highly interactive online course, where students are required to connect with professors in real time over a video chat and give presentations to fellow students. In theory, students could get more feedback online than they do in person. But the reality on the ground is that many courses post dry video lectures and readings that students must watch and read independently. But even within the world of exclusively online instruction, there are some silver linings. Protopsaltis and Baum cite studies showing that some students at community colleges are able to use online classes to finish their degrees quicker. The students might be learning less in the online class than they otherwise would have in the face-to-face class but they’re still earning credits and progressing toward completion. As with the findings at four-year colleges, it proves that stronger, more academically prepared students who have the motivation to learn on their own and seek help when needed are best able to take advantage of online learning. The question is whether we should keep expanding online learning, with generous federal subsidies, to the most vulnerable students before colleges have tested and proven they can educate them adequately outside the classroom. 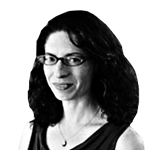 This story about research about online college was written by Jill Barshay and produced by The Hechinger Report, a nonprofit, independent news organization focused on inequality and innovation in education. Sign up for the Hechinger newsletter. I would not group WGU and SNHU with the likes of Liberty University. Not all online universities are created equally. WGU and SNHU's College for America CBE online degree programs seek to find the right students. Those with some college experience, but no degree who can show that they have mastered concepts through years of work in their respective industries.